(born in 1940) – Master of Polish 1964) and Slavic Studies (1968), translator and editor. She worked at the State Publishing Institute (1967-1991), as well as secretary and later barrister at the Polish Embassy in Belgrade (1991-1996). She currently works as an editor and reviewer, associated with various publishers. She translates Serbian, Croatian and Bosnian literature. In 2012, Miljenko Jergović’s Srda śpiewa o zmierzchu w Zielone Świątki translated by her received the Angelus Award. 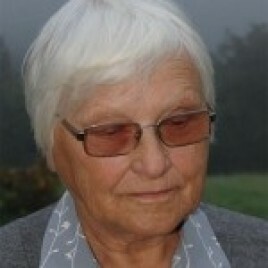 She has translated more than 40 books by Serbian, Croatian and Bosnian authors, including 9 books by Miljenko Jergović.